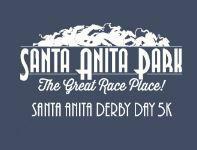 The Annual Santa Anita Derby Day 5K Run & Walk will be held on Saturday, April 8th, 2017. As a result of this event, vehicles driving on Baldwin Avenue between Huntington Drive and Foothill Boulevard will be delayed or diverted from 7:00 a.m. to 9:30 a.m. It is recommended that alternate routes be used during this time period to avoid being detoured or delayed. Questions or concerns may be directed to Sergeant Brian Ortiz or the on-duty Watch Commander at the Arcadia Police Department, (626) 574-5156. We apologize for any inconvenience this may cause, and thank you for your understanding and cooperation. Additional event information can be found at the official Derby Day 5K website HERE.